Okay so the top of my cheesecake is a bit golden, but still delicious. I'll come right out and admit that this is not my recipe, but I couldn't help but share it with you. I found it recently on AllRecipes.com. I made it for my family on Sunday, and they were delicious. You can find the recipe for the cheesecake bars here. 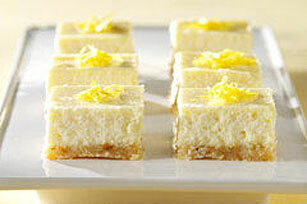 The cheesecake bars have a very light and subtle lemon flavor. The crust is delicious as well, they are made from Coconut Macaroons that are crushed and mixed with a bit of butter. You can often find prepared macaroons that are gluten free, but to be safe I made my own. I used the recipe from the back of the Great Value (Wal-mart brand) shredded coconut package. Apparently I threw out the empty container. I can't find the recipe online or else I would link to it. It is a flourless recipe, but I chose to add a tablespoon of rice flour for a bit of substance. The macaroons were delicious and they made a perfect crust for the cheesecake. My husband loved the bars. 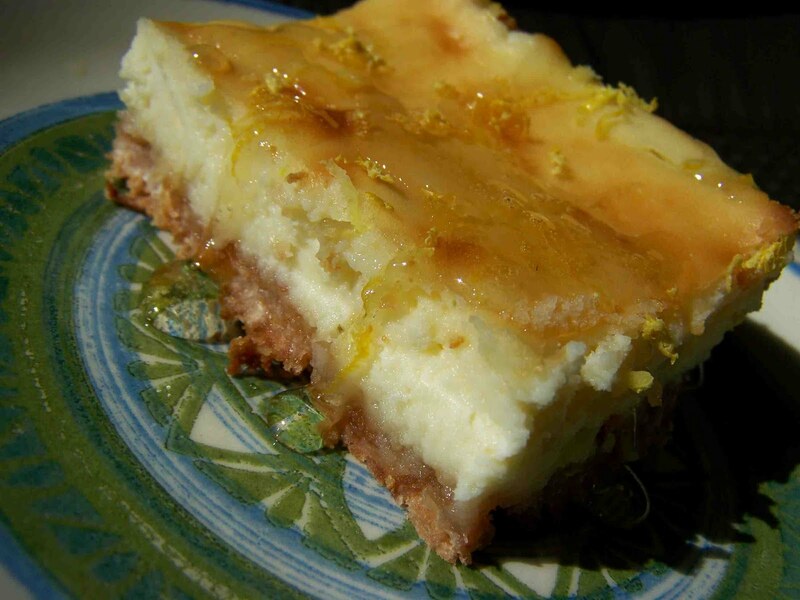 You might notice that I added a lemon syrup to the top of the cheesecake bar. I thought that they just a bit more flavor. You can make a simple syrup by incorporating fresh lemon juice, fresh lemon zest, and sugar and cooking until syrup consistency is reached. For more information on making simple syrups you can look here.